We can think of TONS of things we'd like to put in the navigation, but we've got a rule that we'll not put more than six links in each drop down. We don't want them to be too long since it kind of defeats the purpose of quick navigation to have to hunt for the link you want. ;) So, even though you asked very nicely (thanks! ), we're going to have to say no. :( We do have something else up our sleeve along the same vein, though, that should make getting to your items a bit easier... we hope. Yes, Donny can actually repair bags of broken Neopoints. Of course (oddly enough), bags of broken Neopoints generally sell for more than what you can normally win from them once fixed, and that's not even considering Donny's repair fee. That page should include a link that leads to this page. Your parents will need to print that page out and then mail or fax it to us, granting us permission to allow you access to those pages. There's more information provided at that link! Lenny Conundrum is a competition, so under no circumstances should anyone be on the boards blurting out the answers and giving "hints." This is reportable. Maliciously giving out wrong answers to throw other people off is not allowed, either. No, restock bans are in place to set limits on restocking and are not a punishment or warning of any kind. Restock bans do not lead to being frozen. Yes, you need to complete all the steps in order; otherwise you won't be able to locate the constellations you need to find. This image is relevant because it has "constellation" in its title. Hrmmm... interesting point. We'll have to talk about this internally. (Really, it's a pretty serious request. We'll need to discuss how it will effect the economy, what other things may or may not have to be changed to accommodate it, etc.) We'll give it some thought, though. If we do decide to change it, we'll announce it in New Features! Not to worry! That feature is already on the list. ;) You will eventually be able to select which Neopet you want to display on the boards. There are a few things to work out, due to the nature of abandoning and adopting Neopets, so we'll likely finish The Pound up first before we get to working those things out and releasing this feature. 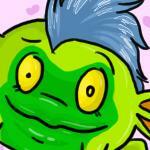 Well, Neopets really aren't full blown pets. :) For instance, they can talk and remind you why they hate visiting the Health Food shop. ;) So we don't want to make them appear too much like real life pets, with leashes and the like. Yes, any fake Random Event (often in User Lookups) or shop items (often displayed in the editable areas of shops) that are malicious in nature, such as making a person really believe they got an official Random Event, is reportable. Please use your best judgement when reporting such things. In this case the person should definitely be reported. Ones that are completely benign such as, "A Cybunny hops by and thanks you for visiting." are fine as they are not tricking you into thinking you gained/lost something. The other people were right about fake REs... LAME. The items you purchased will last 180 days. :) If you ever purchase something from the Mall, and the general expiration on that item changes, your item will change, too. (Meaning ALL Shenkuu Warrior Armour items will have the same lifespan. If one changes, they all change.) This won't happen much, but it's possible. As such, we will NEVER lower expiration dates of items people have already purchased. You will never buy an item that lasts, say, 180 days, and have the expiration change to 150 days. That would not be fair in the least. So, if the time does change, it will always be longer. However, for example, if an item was sold a year ago for only five days, we would know that everyone who bought one has had it expire already. So, if we decided to start selling it again, we could then lower the expiration date without it affecting anyone. It's not likely, but it could happen. We just wanted to point that out since it's not the same thing. Ooohhh, that would be awesome. Perhaps a plushie version of the MSPP plushie would be even cooler, too! We'll check to see what our marketing department is up to and slip them a hint if they haven't thought of it already. :) We can't promise anything, of course, but there's no harm in trying! Oh WOW, lucky! Basically, there is a prize list that has quite a few things on it. Most of these are items ranging in price from 5 - 10k (like codestones), but there are also paint brushes and really rare items. When you win a competition that gives a prize from that list, our program randomly selects an item and gives it to the winner. It may seem a bit unfair that one person could win a codestone while another might win a Snowickle, but everyone has the same odds of getting something nice from a single win. If you want to improve your odds of winning something extraordinary, simply participate as much as you can and hope to win! Ticked off with the irritating people on the NW and RP boards? Here's an article about how to deal.